Merry Christmas from G.l. Joe: A Real American Headcast! 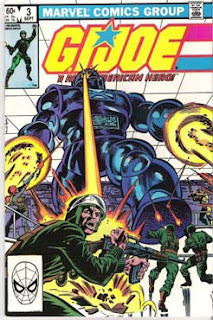 This episode, Ryan Daly, Kyle Benning, and myself are joined by Jif Fishman from The Comic Book Fight Club as we look at the first wave of the G.I. Joe action figures. Join us as we look at the figures for Scarlet, Grunt, Stalker, Snake Eyes plus several more. Be sure to let us know what you think of this episode and our coverage. 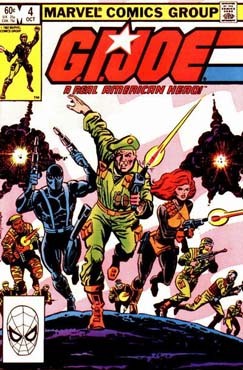 We can be reached at gijoe@headspeaks.com. Join us at the beginning of January for our next episode of G.I. Joe: A Real American Headcast, as we talk about G.I. 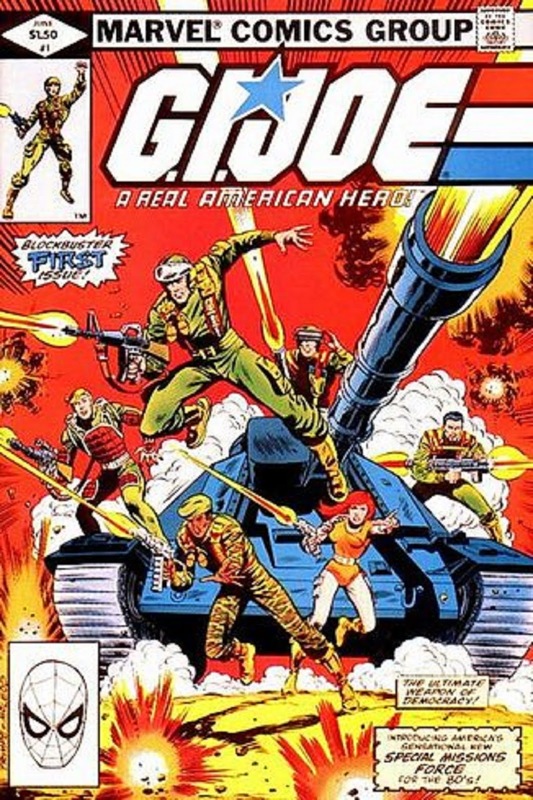 Joe: A Real American Hero, issue 5: Tanks for the Memories. G.I. Joe: A Real American Hero 4: Operation Wingfield! As far as the G.I. Joe cartoon, this month we look at the second episode entitled "Slaves of the Cobra Master". This episode first aired September 13, 1983 and was written by Ron Friedman. Today's end song is 'Oh Sharry' by Steve Perry. Join us next month for our next episode of G.I. Joe: A Real American Headcast, as we talk about G.I. Joe: A Real American Hero, issue 5: Tanks for the Memories. Starting this episode, a new feature... We will start re-watching and reviewing the 1980's G.I. Joe cartoon, one episode at a time. This month we look at the first episode entitled "The Cobra Strikes" where we meet our Joes and their enemy Cobra Commander and The MASS Device. This episode first aired September 12, 1983 and was written by Ron Friedman. Plus I've decided to start playing songs at the end of the episode that relate to the show. This episode, we play Mr. Roboto by Styx.... Why? Listen to this episode and find out! Episode 2: Issue 2 - Panic at the North Pole! Presenting for your listening pleasure, Episode 2: Issue 2 - Panic at the North Pole! This time out me and my co-podcasting cohorts take a look at the second fantastic issue of G.I. Joe: A Real American Hero. 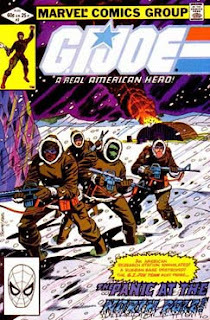 This time out in Panic at the North Pole, takes a look at a small group of Joes (Scarlett, Snake Eyes, Breaker, and Stalker) as they investigate the disappearance of a research facility at the north pole. Our team finds a mysterious new enemy they must deal with... or perish! G.I. Joe: A Real American Hero 2: PANIC AT THE NORTH POLE! Title: "Panic at the North Pole"
And before the end credits, stay tuned as I play the song: "Mighty Quinn" by the British band Manfred Mann. Join us next month for our next episode of G.I. Joe: A Real American Headcast, as we talk about G.I. Joe: A Real American Hero, issue 3: The Trojan Gambit!